Hello, thank you for your suggestions. KayneMarco im know that im lack of tutors, Enlightened Tutor is on my short list. Plea for Guidance is to expensive. Strionic Resonator dont synergize well with other cards, and 2 mana can be use better with other spells. hkhssweiss, i need to think a lite bit more about Arcanum Wings . Sram, Senior Edificer and Satyr Enchanter were in this deck, but i droped them for more aura cards. Cloudius on Lock and Load! griffstick Thanks for the sharing the experience. That was really insightful. Were the games you played 1 v 1 or multiplayer format? I play 3 recursion spells (in the process of acquiring a 4th - Salvage ) just in case the key cards get removed/countered. My choice of pingers was mainly for the flavor and funkiness, since I like quirky and unique decks. I fully agree with you that adding in loads of Counterspell, would make this deck more consistent and less susceptible to disruption. 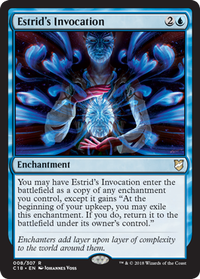 However, I'm not a big fan of Counterspells, especially in a casual format like pauper EDH, as I believe in letting others do their thing. 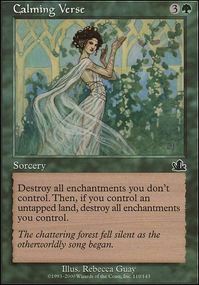 Interestingly, I recently recommended Satyr Enchanter to a friend in my play group as a good Pauper EDH commander. I'm looking forward to the match up with him after what you said above. I'd come back and share with you how the game(s) went if we managed to squeeze in a few games soon. Cheers! Hey! Welcome to the world of deck building!! I hope you enjoy your stay. For a first attempt at deckbuilding I will say this is quite impressive, you have avoided the primary mistake I see a lot which is over saturating on 1-of's. In making my suggestions I am going to assume that you are trying to stick to a budget. First off, do you have an idea of what format you are going to be playing? Is it just casual? I ask because bar Counterspell this deck is modern legal. 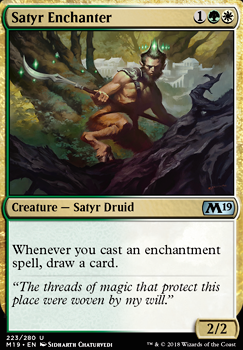 The first major upgrade I can see is replacing the Orbs of Warding with Thunderstaff which is just cheaper and easier to cast on curve, and likely 2 at that cutting a land, in fact I would go down to 23 lands, 30 is going to result in quite a bit of flooding. To make up for the hexproof lost you can play a 1 of Witchbane Orb . Moving on to creatures (with the cut lands we would have 4 extra slots still) I would cut the Blazing Archon for a Silent Arbiter ; I know the effect is slightly different however the body on Arbiter makes it effective and easier to cast, plus you don't really need to be swinging with multiple Angels a turn in the late game to win. 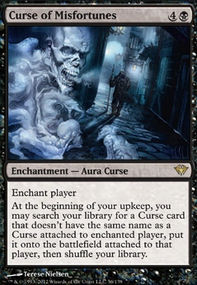 I would also cut the 4 Suture Priest as they don't add too much to the deck, and make some space for enchantments and more prison like creatures, Burrenton Forge-Tender , Eidolon of Rhetoric , and Kami of False Hope all come to mind as options. The counters I don't see as necessary, sure they are fine but I would prioritize removal over anything, so ideally Path to Exile , but cards like Declaration in Stone , Oblivion Ring , and Journey to Nowhere make solid replacements. On to the enchantments themselves, I would cut one Privileged Position (thats 5 free slots), two seems a bit much considering it doesn't do a ton. With the blank slots I would up both Ghostly Prison and Sphere of Safety to 4 each as they truly are your best cards. 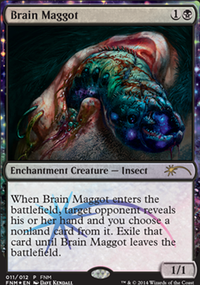 With the 3 remaining slots I would consider a couple of 1-of's as alternate win-cons such as Sigil of the Empty Throne and Starfield of Nyx . 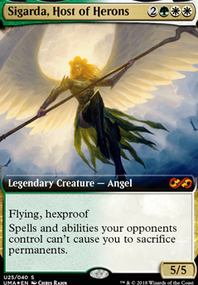 With the last slot Runed Halo (which has fallen all the way to $4 from $30) is a card I would consider as it can answer that one big problem you cant stop. 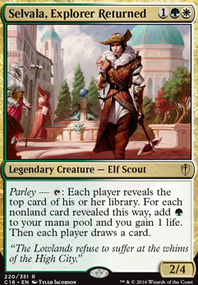 Another consideration you may want to undertake is dropping the blue and instead adding green, Satyr Enchanter would function well here, providing you with an engine for the long game. Another consideration could be Overwhelming Splendor which admittedly is just funny. 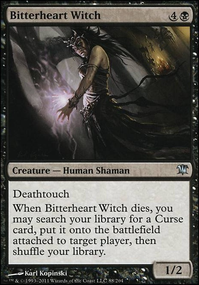 The mana base is fine, although it could use an upgrade, for budget reasons I assume fetch lands are out of the equation, however a couple utility lands cannot hurt such as Memorial to Genius , Kabira Crossroads , and 4 Ghost Quarter . I wish you the best of luck! If you need any help or clarification just tag me in a comment.